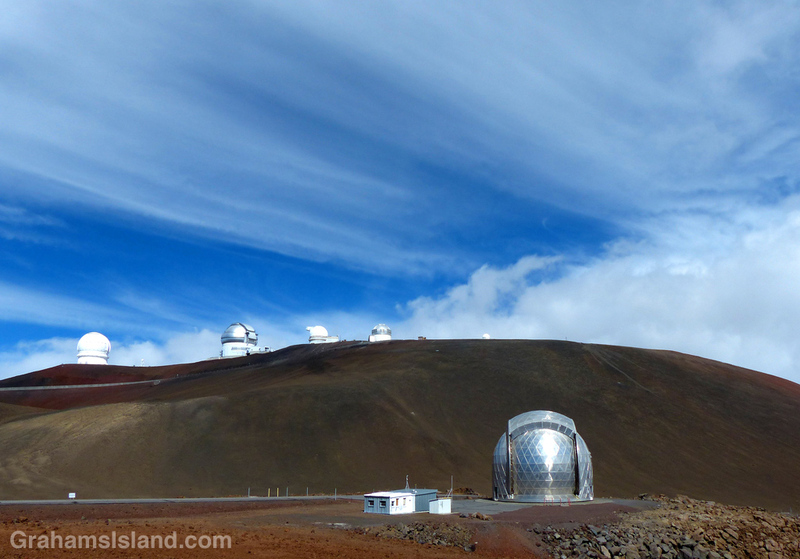 One of the reasons Mauna Kea is a prime spot for telescopes is that it boasts clear skies for more than 300 days a year. It’s common to see clouds below the summit, but less so to see them passing above the summit like this. In the foreground is the CalTech Submillimeter Telescope, one of 13 currently operating on the mountain.